We do not curently have theatre tickets available for Trombone Shorty & Orleans Avenue. This could be because we have simply sold out or it could be that this show is no longer running. The information on this page remains purely for historical and informational purposes. 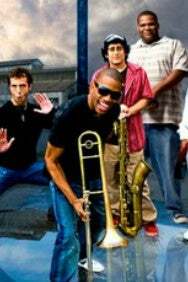 Trombone Shorty is a trombone and trumpet player from New Orleans, Louisiana, United States. He has worked in jazz, funk and rap music. Andrews is the younger brother of trumpeter and bandleader James Andrews as well as the grandson of singer and songwriter Jessie Hill. Andrews began playing trombone at age six, and since 2009 has toured with his own band, Trombone Shorty & Orleans Avenue.